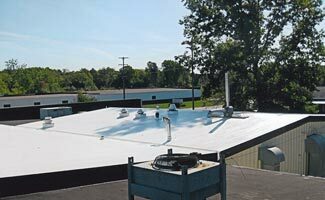 EPDM is an elastomeric membrane roof system. 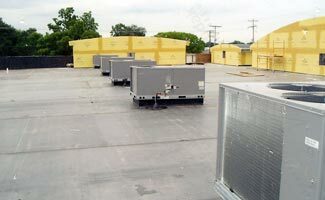 EPDM — rubber roofing — is one of the oldest types of membrane roofs. May be glued down or mechanically fastened. Seams are done using Firestone's QuickSeam splice tape products. Manufacturer's warranties of 10, 15 and 20 years are available. 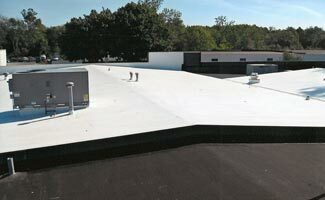 TPO is a single ply thermoplastic reinforced membrane. A system growing in popularity. White, light gray or light tan reflects the sun. May be glued down or mechanically fastened. Seams are heat welded. 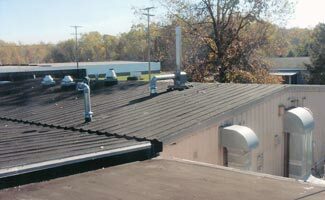 This is a metal building that was retro-fitted with new TPO and added insulation. 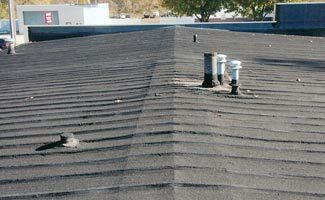 We are fully licensed and insured and are pleased to offer free estimates.